Train with some of the best, nationally-certified personal trainers and reach your fitness goals! Training is customized and developed to each individual's and/or partner's needs. Cancellations must be made within 4 hours of the appointment or the full training session fee will be charged. All sessions expire six months from the date of purchase. Partner sessions consist of two people in a training session. 60-minute sessions cannot be split into two, 30-minute sessions. Anna has been an ACE certified personal trainer for 14 years. When not cooing over her dog, Oliver, or reading any number of the books that fill her house, she is here working as a trainer and spreading her love of fitness. 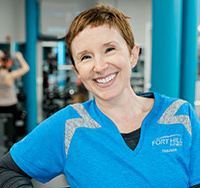 Exercise has been a passion of hers for quite a while, and as your trainer, she will be able to share her knowledge with you to help you experience the physical and emotional benefits of fitness. She has some background in yoga and Pilates and likes to integrate ideas from these and other disciplines into creative workouts for clients. Her goal is to educate and motivate and to help you define and achieve your fitness goals to feel better, stronger, and more able to live life the way you want to. Trainer Tip: “If I had a nickel….” How many times do you hear someone say that? If I had a nickel for every time I see someone using incorrect form, I might be a rich woman. But seriously, form is vitally important when working with weights. Using proper form when weight training can help us get the most out of each exercise, while utilizing the correct muscles. When using incorrect form, you will increase your risk of injury and target the wrong muscles. Paying attention to our form when moving through the exercise will help us create strong muscle contraction, while keeping the body aligned and protected. Sometimes people find when they use correct form, they need to use much less weight and get even better results. And who wouldn’t want that? To sum up, proper form when exercising is the foundation to a successful workout. Start right to finish well. David is a Certified Strength and Conditioning Specialist (CSCS) with a BA in PE, Sport, and Fitness Instruction. 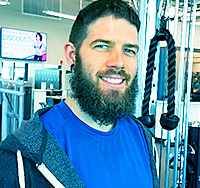 He has been involved in working with developing fitness at a variety of ages and skill levels having just completed an internship at Get Fast Inc. (a youth speed and agility development clinic) and working as a Personal Trainer in Lemont. David also has two minors geared towards education, one being in Health, which has helped develop his skills towards enhancing multiple domains of wellness. While earning his degree, David ran for four years at Carthage College in both Cross Country and Track. Having been a runner since 6th grade, David has seen a variety of training methods and knows the amount of time as well as effort dedicated towards improvement will reflect in the results. It is in this willingness to dedicate that David enjoys to work with clients as they seek out improvement and traverse challenges to obtain their goals. 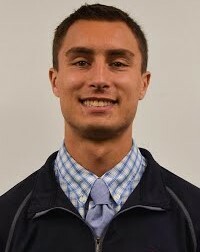 In his free time David continues to run and works as an Assistant Coach at Downers Grove South High School in Cross Country and Track & Field. Brad started the path to becoming a fitness professional in high school as an overweight kid, and realized he needed to make some changes. With continual discipline to eat healthy and stay active, over a period of a couple of years, he was able to lose 100 pounds. The desire to lead a healthy life and stay active, as well as to help people achieve their fitness goals, led him into this career. 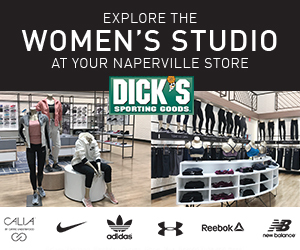 He graduated from NIU with a bachelor’s degree in Kinesiology: Exercise Science in 2013, and obtained an NASM Personal Training Certification, in addition to obtaining the NASM Corrective Exercise Specialization. He believes in a functional approach to fitness adapted to the needs of each individual person and continuously progressing to improve overall health and wellness. He promotes the enhancing of the mind and body through engaging exercises that challenge coordination and balance within the body to promote positive changes. Minerva is an AFAA Certified Personal Trainer with over 10 years of experience. She started out teaching boot camp style classes because of her background in the martial arts (blackbelt in Shorei/Goju style off karate) and throughout the years she has added other certifications to expand her knowledge base to help clients achieve their fitness goals. Minerva takes a personal approach in working with her personal training clients- tailoring workouts to suit the individual as well as provide encouragement and support throughout their fitness journey. She is very passionate about her job and strives to give her clients the results they are looking for. Minerva’s certifications include: AFAA Personal Trainer, PKC Black Belt, Les Mills Bodypump, Jillian Michaels Bodyshred, Bosu, Ikick, Zumba, Zumba Step, TRX, TRX Rip Trainer, YMCA Diabetes Prevention coach. Colin is a Certified Strength and Conditioning Specialist (CSCS) and also holds Exercise is Medicine and USA Weightlifting Level 1 certifications. He has been involved with fitness in varying capacities throughout most of his life and turned that into a career after earning a degree in Exercise Science from North Central College. He also obtained a Psychology minor, which has helped strengthen his interpersonal communication and relationships with clients. While earning his degree, Colin played baseball for North Central and participated in various intramural sports. After having his own personal struggles with weight management, Colin has dedicated his life to improving his fitness and that of those around him. While competitive in nature, Colin knows that having fun is a key component to success and strives for that each and every day! Colin continues to be active in his free time by playing sports and trying new forms of fitness. Chris is a NASM certified personal trainer with a B.S. in Sport, Health, Leisure and Physical Studies from the University of Iowa. He is also a qualified TRX instructor. Chris believes in creating a controlled, well balanced fitness environment for his clients to ensure multiple muscle groups are worked simultaneously, while incorporating fitness basics of conditioning and core. 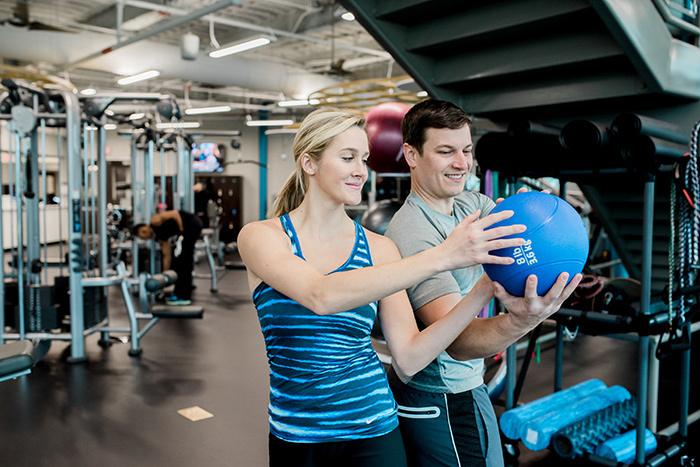 His desire to help clients reach their fitness goals stems from working in parks and recreation where he developed a passion for sports, recreation, and staying active. His tag line is “just keep moving” and he not only aims to help clients reach their fitness goals, but to give them the fitness knowledge to live a long and healthy life.